Inspired by Hubert de Givenchy’s couture classics as well as her own runway presentations for the house, Clare Waight Keller mixes spirited, urban Givenchy separates with dressier looks Spring – Summer 2019 season. To find out more go to www.givenchy.com. 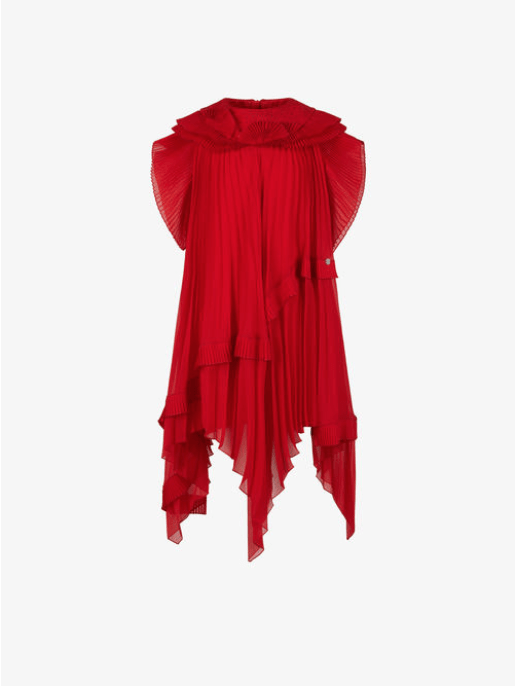 Editors Notes: Our favourite from the collection is the pleated veil red dress, beautiful luxury!